How best to collaborate on presentations, panels and more. Get set for the launch of the inaugural Take The Lead program for women in healthcare leadership. New study shows early harassment affects a lifetime of tolerance. "Don’t follow your dreams — lead them." What future will you create? Meet the founders of myLAB Box. Expand your leadership toolbox by enrolling in a program, participating in a webinar, reading leadership books and attending workshops or conferences for your specific industry. 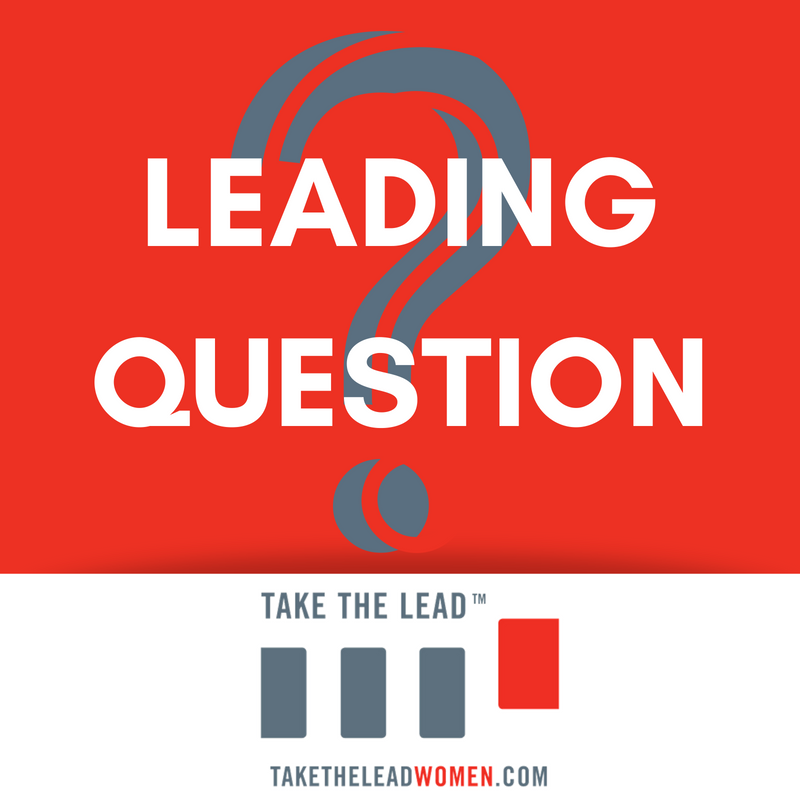 This week we launch Leading Question, a new weekly discussion on our Facebook page. Share your thoughts for a chance to win a free prize in our monthly giveaway. Use the hashtag #leadingquestion and tag your friends to get more conversation going. Should men accused and/or admitting to sexual harassment such as Charlie Rose, Matt Lauer and Eric Schneiderman, be given a second chance in their careers? It's almost as if you were there! Check out the morning session of the recent United State of Women Summit in Los Angeles where USA Olympian Aly Reisman says, "You will never be wrong for doing the right thing." Lawyer is one of first women to hold this position. See who is putting their money into women's companies. Mark your calendars and join us on Wednesday, June 13th at 6:30 pm ET when we tackle the subject of Gender Bilingual Communication: A Look at the Language of Leadership. Our guests Dr. Katherine Giscombe, Vice President & Women of Color Practitioner at Catalyst and Michael Kimmel, SUNY Distinguished Professor of Sociology and Gender Studies at Stony Brook University stop by to give us their take on this hot topic and more.